I absolutely love spring break in Colorado…a glimpse of what is to come, interrupted briefly by the grand finale of heavy, wet spring snowstorms, culminating just in time to let our hearts fill with joy at the arrival of gorgeous Colorado summer weather. Springtime in the Rockies is a sight to behold, and by far my favorite season of the year! Botanic Gardens – These top-ranked U.S. botanical gardens offers spectacular garden displays, outdoor art exhibits, gardening classes and workshops at two great locations–Chatfield and Denver. History Colorado Center–The History Colorado Center has exciting new workshops and exhibits including Living West, a groundbreaking new 7,000-square-foot exhibit that explores the living dynamics between the people of Colorado and their state’s extraordinary environment. Denver Museum of Nature & Science–The big news at Denver’s favorite natural history and science museum is the brand new addition on the Museum’s south side has added 126,000 square feet and five levels of discovery to the Museum, providing even more space to engage, delight, and spark your imagination. Be sure to also check-out the new exhibit Maya: Hidden Worlds Revealed (Feb. 14-Aug. 24, 2014. United States Mint Tour (downtown) – Discover how our currency is made and take home a souvenir – FREE. Molly Brown House Museum (downtown) – Interesting Colorado history and a lesson in selfless courage and leadership. Steuben’s Restaurant (downtown) – Diner atmosphere, excellent kids meals with carrot sticks, cucumbers with ranch, edamame, fresh berries and choice of entree and side. This downtown district is great for a lesson in acceptance and tolerance. Hammonds Candy Factory Tour (Denver) – Learn how candy is made and sample something delicious – FREE. Adventure Golf & Raceway (Westminster) – Great place for a day of fun for the whole family. Jumpstreet (Thornton) – Wall-to-wall trampolines provide fun, indoor exercise. Butterfly Pavilion (Westminster) – Beautiful and excellent hands-on learning. They also offer a Spring Break Series. Hudson Gardens (Littleton) – Pack a lunch and spend a lazy day wandering. The Streets at SouthGlenn (Centennial) – Beautifully lit at night with several places to stop for a bite to eat or see a movie at the Hollywood Theater. Westlands Park (Greenwood Village) – Spend an entire day here, huge park with something for everyone – FREE. Pasquini’s (Lone Tree & other locations) – Great atmosphere, delicious Italian food, kid friendly and you can play with dough while you wait! Yogurtland (Centennial) – Variety of frozen yogurt choices, add your own toppings and pay by the oz. Great price for a family dessert that everyone is pleased with! Wings Over the Rockies Museum (Denver) – Air and Space Museum. Wildlife Experience (Parker) – Unique museum with robotic animation – fun and educational. Try their new GPS Adventures or their Spring EGGstravaganza on March 30. 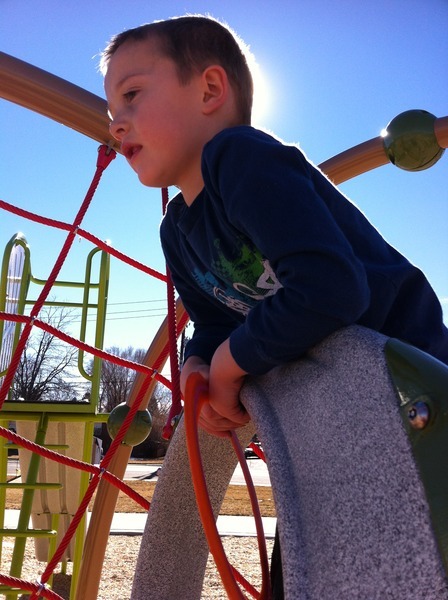 Monkey Bizness (Centennial) – Even big kids can play, climb and bounce here. Majestic View Nature Center (Arvada)–Majestic View Nature Center and Community Park has more than majestic views–The 3,000- square foot Nature Center features hands-on nature and environmental displays, wildlife exhibits, a kid’s area, classrooms and meeting space. Buffalo Bill Museum and Grave (Golden) – Colorado history with spectacular views. Casa Bonita (Lakewood) – It’s about the atmosphere and entertainment, kids love it, menu is limited. Euphoric memories from your childhood? Visit again–it hasn’t changed. Outdoor Fun – Colorado offers endless FREE fun outdoors. Choose a location, dress for the weather and have a blast! If you’re looking for ideas, start at Jefferson County’s Open Space with maps and event listings. I love that you divided these up by region. I’ve done most of the activities you listed in my area but I’m excited to discover some new ones like Westlands Park! Wonderful ideas, Jaime! Our family loves Hudson Gardens and makes it one of our first stops in the Spring! And a trip to the Botanic Gardens requires a stop at Bonnie Brae after!